When Latrell Sprewell was named to his first All-Star team in 1994, in only his second NBA season, someone suggested to him that his days of anonymity were over. No longer would public-address announcers mistakenly introduce him as Ladell or turn his last name into "Sprool." He was a celebrity now, which meant he was about to be discovered by the media. The public would have a chance to get to know him. A slight smile crossed his face as Sprewell considered that possibility. "Everybody's going to get to know me?" he said. "I don't think so." He was right. Very few people have really come to know Sprewell, 27, during his NBA career. Throughout his six years with the Golden State Warriors he guarded his past and his private life as tenaciously as he guarded opposing players, often politely asking reporters who wanted to write feature stories about him not to bother calling his family or friends back home in Milwaukee. "I'm not into having people talking all about what I was like as a kid or what I did way back when," he said at that All-Star Game. "That's one of the things I always knew I wouldn't like about being in the public eye. I never asked to be famous." Now, of course, Sprewell has traded in his fame for a far greater infamy. When he assaulted and threatened to kill his coach, P.J. 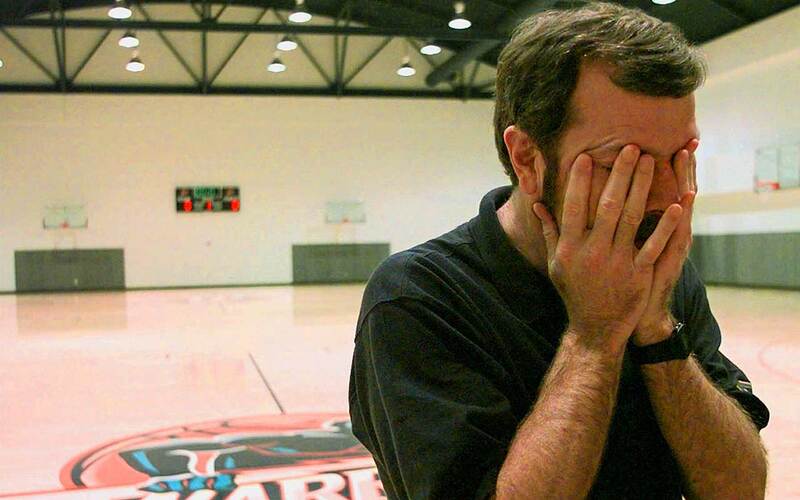 Carlesimo, during a Dec. 1 practice, he committed one of the most outrageous acts on the court or field of play that American professional sports in the modern era has known, and that act will surely follow him for the rest of his life. 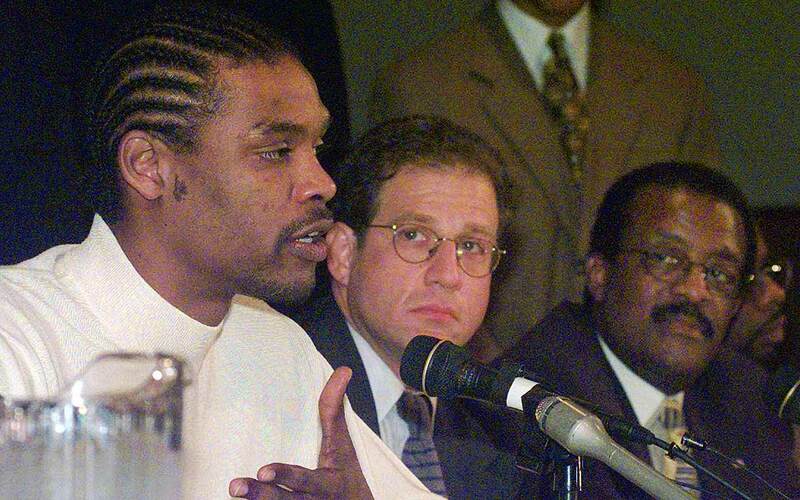 Even those who have risen to Sprewell's defense have been careful to acknowledge that they do not condone his actions. "The players are concerned about what led up to this," says New York Knicks forward Buck Williams, who played for Carlesimo as a Portland Trail Blazer and who is a former president of the National Basketball Players Association. "They are angry that Sprewell has not had the chance to tell his side of the story. They're not taking Sprewell's side, because nobody in his right mind can really take his side. He was totally wrong." Even in light of Carlesimo's reputation as a coach who is hard on his players, Sprewell's attack was inexcusable, though not unexpected. Anyone who had followed the Warriors could see that a confrontation between Sprewell and Carlesimo was brewing. Even though Sprewell was sticking to his policy (declared during the preseason) of not giving interviews, he made his disdain for his coach clear. On Nov. 9, while the Warriors were being blown out by the Los Angeles Lakers, Carlesimo saw Sprewell laughing in the huddle during a timeout. Carlesimo told the team to get serious. When Sprewell didn't, Carlesimo substituted for him, and Sprewell said to Carlesimo in front of the team, "You're a f------ joke." Carlesimo held Sprewell out of the starting lineup in the following game, against the Detroit Pistons. Three days before the choking incident, Sprewell was fined when he missed the team flight from Oakland to Salt Lake City and didn't arrive on his own by the team-appointed deadline, midnight the night before the game. Some Golden State players say that Sprewell often failed to give his best effort at practice, sometimes even refusing to shoot the ball during scrimmages. Golden State responded to Sprewell's attack by first suspending him for 10 games, then, two days later, terminating his four-year, $32 million contract, which had nearly three years and about $25 million remaining, citing the conduct clause in the basic player agreement. That clause says players must conform to standards of good citizenship. (Sprewell also lost an endorsement deal with Converse, valued at a reported $300,000 to $600,000 annually.) After the Warriors kicked Sprewell out the door, NBA commissioner David Stern locked it behind him by suspending him for one year, during which he cannot be paid by an NBA team. An extended battle pitting the league against Sprewell, his representatives and his union--a tussle that may well spill into the courts--is probably inevitable. 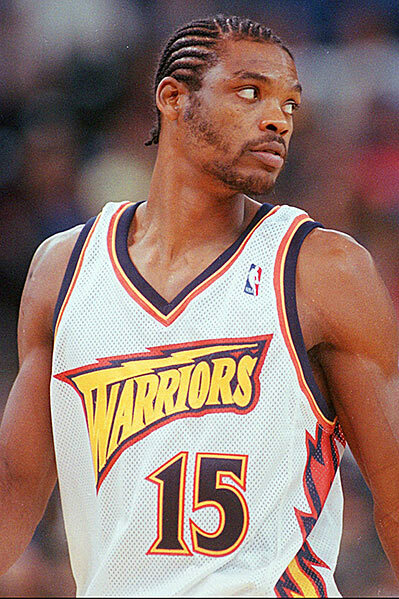 Moreover, Sprewell has become the topic of discussion in barbershops and boardrooms, among politicians and preachers. He is now the target of the public's disgust with the modern pro athlete, a rage that has been years in the making. To many fans Sprewell is every millionaire player who ever complained that he should be a bigger millionaire, every arrogant star who ever refused to sign an autograph, every hot-tempered athlete who has ever bumped a referee or brawled in a nightclub and been punished with a fine he could take out of petty cash. He has become not so much a person as an issue, one that develops more facets daily. He is labor versus management, black versus white, the individual versus the system. Although Sprewell is suddenly well-known, he still is not known well. "He's not just a case, you know, or a subject for the talk shows," says Warriors guard Muggsy Bogues. "He's a person. He's flesh and blood. A lot of people have been talking about what he did, but I haven't heard many people talking about who he is." A paragraph in the Warriors' media guide probably reveals everything Sprewell would like the public to know about what kind of person he is: He likes jet-skiing, the Dallas Cowboys, repairing stereo equipment and eating his mother's spaghetti; he didn't play organized basketball until his senior year at Milwaukee's Washington High School; he has two daughters, ages 9 and 7, and a son, 2. What the media guide does not say is that Sprewell is a complex man who seems impulsive and hotheaded at times and disturbingly unemotional at others. He has complained of being deeply frustrated by the Warriors' constant losing over the last few years, yet he has also admitted to coasting through some games. The media guide also fails to mention that Sprewell is often selfish and undisciplined on the court. (Said Toronto Raptors coach Darrell Walker last week, "He was already taking all the shots for that team, so what can he be upset about?") And the media guide does not say that Sprewell came to the NBA somewhat naive about the ways of professional sports because he did not grow up as a star athlete or with the dream of being one. It does not say that when he makes a friend, he is fiercely loyal--as he tried to show by inscribing the numbers of his pals Chris Webber and Billy Owens on his sneakers after they were traded by the Warriors in 1994--or that he has little patience for those whom he does not consider friends. He feuded openly with former Golden State coach Don Nelson and ex-Warriors teammate Tim Hardaway, and not so openly with several other Warriors. He has also gone through four agents since he has been in the league. Although the 6'5", 190-pound Sprewell is described as quiet by most of his teammates and ex-coaches, the incident with Carlesimo is not the first time his temper has exploded. Rony Seikaly, Sprewell's former Warriors teammate who plays for the Orlando Magic, says Sprewell "always seemed to have this hatred inside him. Even though he never got physical with the coaching staff before, I'd seen him do it to other players in practice." Sprewell has had at least two fights with teammates during practice, one with Byron Houston and the other with Jerome Kersey, both of whom outweighed him and both of whom are now ex-Warriors. The scuffle with the muscular Houston in 1993 was surprising because he was about 50 pounds heavier than Sprewell, and his face and physique resembled Mike Tyson's. "No one messed with [Houston]," says Nelson, who last week became coach of the Dallas Mavericks but was the Warriors' coach at the time. "But one day in practice Spre punched Byron three times before Byron knew what was up. Everyone was stunned. He snapped." Then, two years later, Sprewell and Kersey had an altercation in which Sprewell's behavior was eerily similar to last week's conduct with Carlesimo. After the initial scuffle with Kersey was broken up, Sprewell left and returned a short time later, reportedly with a two-by-four. Sprewell could also be menacing outside basketball. On Sept. 3, 1995, he was stopped in Oakland for speeding and then arrested for having an outstanding warrant for driving with a suspended license. He was also booked for investigation of threatening a police officer after he reportedly told the arresting officer, "You can be shot real easy, and people get shot out here." The traffic charges were eventually dropped, and prosecutors said they decided against charging Sprewell with threatening the officer because the comments "lacked credibility and immediacy as a righteous threat." Those outbursts don't fit the picture of Sprewell painted by many of his friends and teammates, past and present. "I think in the two years he played for me, I had one minor incident when he was late for a bus one time," says Arkansas-Little Rock coach Wimp Sanderson, who coached Sprewell during Sprewell's two college seasons at Alabama. "I don't condone what he did, but I don't have anything but good things to say about Spre as far as the time he played for me. He worked hard and stayed out of trouble." Forward Robert Horry of the Los Angeles Lakers, a teammate at Alabama, remembers Sprewell as a model of good behavior. Sprewell was so concerned about being on time for the team's early-morning practices, according to Horry, that he rigged his clock so that the alarm turned on his cranked-up stereo. Horry also recalls Sprewell's being a calming influence on the team, not a disruptive one, particularly for one of their teammates, Cedric Moore. "Spre kind of took him under his wing," Horry said. "Cedric was a loose cannon. He used to get mad at Wimp, and Spre would keep him from going off." But sometimes Sprewell's behavior is neither admirable nor deplorable. Sometimes it is just odd. In October 1994 Sprewell's younger daughter, Page, was attacked by one of the four pit bulls he kept at his home in Hayward, just outside Oakland. (She lived there at the time with her mother, Candace Cabbil.) Page, then four years old, had one of her ears severed and suffered bites on her face. Sprewell seemed strangely unaffected, at least outwardly, by the incident. About two months later he was asked about the attack by San Francisco Chronicle reporter Tim Keown, leading to this exchange. Keown: "It seems it would have to affect you in some way." Sprewell: "No. Why should it?" Keown: "Because it was your daughter?" Sprewell: "No. That stuff happens." Keown: "But it doesn't always happen that close to home." Sprewell: "People die every day. Maybe if it had been more serious, it would have affected me." Keown: "Did you lose the dogs?" Sprewell: "No. I still got 'em. I kept 'em." Sprewell explained months later that he actually had put to sleep the dog that had mauled his daughter but had kept the other pit bulls. Why he had chosen not to make that point clear in the first place, only he knew. Everyone else was left scratching his head. Sprewell may have been as uncomfortable around reporters as they were around him, possibly because he is not like the majority of NBA players, who have been star athletes since childhood and arrive in the pros having dealt with the media for years. Sprewell was born in Milwaukee--hometown of his mother, Pamela Sprewell--but grew up in Flint, Mich. During his sophomore year of high school Pamela and Latrell's father, Latoska Fields, split up, and Pamela and Latrell moved back to Milwaukee. (Pamela now lives in the upscale River Hills section of Milwaukee in a house Latrell bought her.) Latrell's basketball experience was limited to playground ball until James Gordon, the coach at Washington High, spotted a rangy, athletic-looking young man walking down a school corridor. He invited Sprewell to come out for the team even though he was already a senior. Sprewell accepted the invitation and averaged 28 points per game in his only high school season. "What made him good was his work ethic," says Gordon. "If you suggested he work on free throws instead of dunking, he'd go straight to the free throw line." Sprewell received no Division I scholarship offers, so he enrolled at Three Rivers Community College in Poplar Bluff, Mo. In his first year he was suspended because of an alleged shoplifting incident. "We suspended him for several games," says Gene Bess, Sprewell's coach at Three Rivers. From Three Rivers, Sprewell transferred to Alabama, where he built a reputation as a defensive specialist and averaged 17.8 points as a senior. At those two stops Sprewell blossomed into a star only in his final year. He never had to deal with the role of star player and team spokesman, at least not for very long. He was seldom in the spotlight, never the player who had reporters crowd around his locker night after night, and he made it clear that he never wanted to be that player. On those rare occasions when he has talked at length about himself, he has often mentioned the effect that the trade of Webber, the charismatic forward who'd clashed with Nelson, had on him, saying that Webber dealt with fame and its pressures far better than he did. Perhaps Sprewell went into such a funk after the Webber deal because he knew that with his friend gone, he was one giant step closer to that spotlight. It eventually found him, after the Warriors had removed all the other candidates. Nelson resigned under pressure when Golden State struggled. Hardaway was traded to the Miami Heat, largely because of his inability to get along with Sprewell. Tom Gugliotta, who came to the Warriors from the Washington Bullets in the Webber deal, floundered, unable to fit into an offense in which Sprewell dominated the ball. Gugliotta was eventually traded to the Minnesota Timberwolves, where he became an All-Star, for Donyell Marshall. Meanwhile, the Warriors gave Sprewell the $32 million contract in 1996 under the regime of general manager Dave Twardzik and coach Rick Adelman, both of whom were fired after last season, and it became clear that he had been chosen as the franchise player. That is what Carlesimo found when he took over as Warriors coach this season--a team built around a player who had been moody and mysterious most of his career, who had clashed repeatedly with teammates and coaches and who had never shown the capacity or the inclination to be the cornerstone of the franchise. In retrospect, an explosion was inevitable, although no one could have predicted it would be so violent and far-reaching. Warriors management made a critical error in choosing Sprewell to be the team's foundation, and it may be that a lighter touch by Carlesimo would have kept matters from reaching the boiling point. Some sympathy should be reserved, also, for a young man placed in a role he neither wanted nor was prepared for. But none of that diminishes the shameful nature of Sprewell's act. "I don't think people need to know that much about my private life," he said at that 1994 All-Star Game. "I just want to be judged on what I do on the court." Sadly, he has gotten his wish.